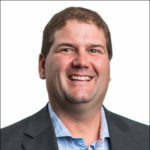 Chairman of the Board, Green Imaging Technologies Inc.
Darcy Spady is the Managing Director of Broadview Energy Asset Management, a subsidiary of an independent oil and gas producer in Alberta and Saskatchewan, Canada. He is also the 2018 President of SPE (Society of Petroleum Engineers), and is a member of the board of MNP Petroleum (Switzerland). 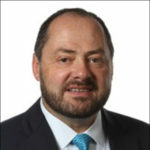 Prior to this he has held executive positions as Director of Client Solutions for Sanjel Canada, Managing Director of Saint Brendan’s Exploration (Canada) and Carina Natural Resources (Romania), CEO of Contact Exploration (Canada), COO of PetroGlobe Inc.(Canada), Director of Triana Energy (USA), General Manager of Columbia Natural Resources Canada, and a decade with the Schlumberger organization. Mr. Spady holds a BSc. in Petroleum Engineering from the University of Alberta and is a P.Eng. in the Provinces of Alberta and New Brunswick. 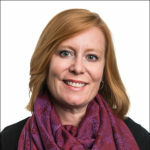 Jill Green is one of the founders of Green Imaging Technologies, Inc. and currently serves as the Chief Executive Officer of the corporation. In her role as CEO, Jill is responsible for the overall management of the company and is tasked with implementing the recommendations of the Board. Jill and her management team work together to strategically position the company and its products and services. Jill has served on the Board since 2005. For more comprehensive information on Jill, click here. Derrick Green is one of the founders of Green Imaging Technologies, Inc. and currently serves as the Chief Technical Officer and President of the company. Dr. Green has served on the Board since 2005. His technical knowledge serves as the backbone of new products being developed by GIT. Dr. Green is also the 2018 / 2019 president for the Society of Core Analysts (SCA). For more comprehensive information on Derrick, click here. 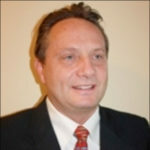 Director, Green Imaging Technologies Inc.
Michael attended Acadia University and graduated with his Bachelor of Business Administration in 1977. He obtained his C.A. in 1979, achieving the highest provincial standing on the Uniform Final Exams and subsequently worked for several public accounting firms in increasing areas of responsibility, including completion of the CICA In-Depth Tax Course. Currently Michael is President and Director of Edwards Dean & Company, a mid-sized public accounting firm and EDC Tax Services Inc. In 2001 he became a licensed life agent and currently holds a life brokers contract for most major life companies. In 2009, Michael qualified for the Trust and Estate Practitioner (TEP) designation. After obtaining his CA designation and completion of the CICA In-Depth Tax Course, Michael assumed the role of Canadian Tax Manager for Michelin Tires Canada Ltd. Thereafter, he became Vice President, Finance for a regional residential/commercial real estate development company before returning to public accounting practice. 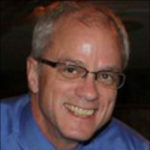 Currently Michael is the Director responsible for the compliance and tax practice in Edwards Dean & Company. Ken has a wide range of business experience ranging from teaching to R&D to starting a business. He started his journey at the University of Toronto finishing a Bachelor of Science in Biology and Mathematics followed by a Bachelor of Education concentrating on Science and Mathematics. Later Ken went back to school at the University of Calgary to gain his MBA, and then finished his Masters of Education from Simon Fraser University, concentrating on Distance Education and E-Learning. Other than all this work getting educated, one of his biggest successes (and likely challenges) was building LeanStream Inc. into a 50 person industry leader in innovative learning solutions over a seven year span and then selling it in 2005. From LearnStream Ken has moved on to UNB as the Director of the Centre for Enhanced Teaching and Learning, where he uses his unique skills combining teaching and innovation to increase student engagement and bring UNB’s teaching strategies into the 21st century. Ken also works for himself as a consultant at Reimer Consulting Group providing senior level business consulting services to early stage companies looking to grow. Ken is a constant presence in the Fredericton business community, volunteering time to help better the local business environment and helping Fredericton become a hub of successful start up companies. He has sat on the Board of Directors of several enterprises, including LearnNB, the national board for CANARIE and for Family Life Canada and sat on the advisory board for the NRC Institute for Information Technology. He has also won awards and recognition across the country and on the North American stage over the years. Ken lives in Fredericton with his wife and family.